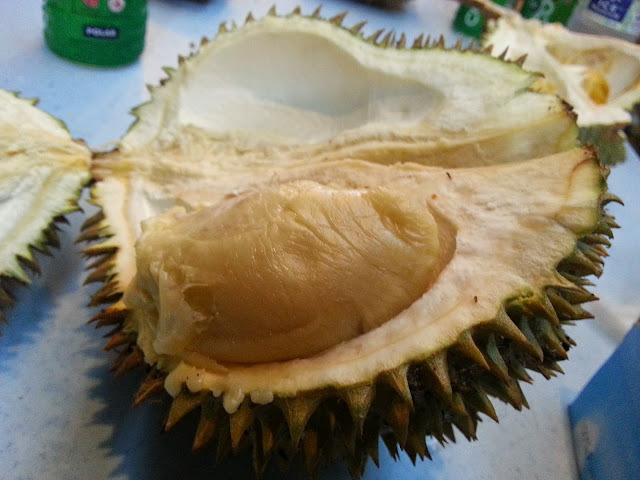 I think my love affair with durian is almost over. Haven't been eating a lot this year and this is my first durian buffet for the year but I gave up very fast. 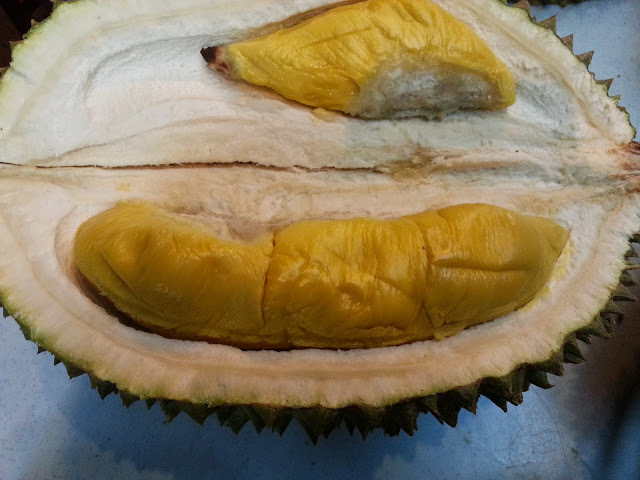 Maybe it old age or maybe it really is durian overload. 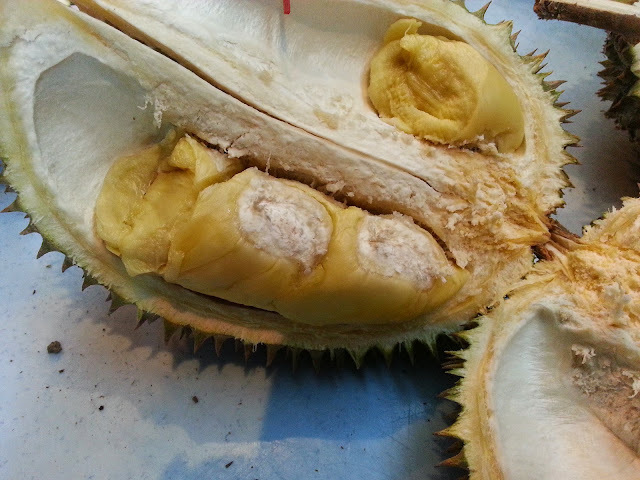 This time round we had 10 of us and we had 27 durians which don't really seem a lot. There were the usual Red Prawn, the Black Pearl, D13, Jinfeng, Hulu, and the famed Mao Shang Wang.